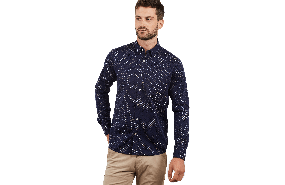 The Albion Pin Dot Shirt has a subtle pattern for a little bit of character. It's made from 100% cotton and comfortably layers beneath blazers and tucks into tailored trousers neatly. The must have for any week day work outfits.